SpaceLoft XL vehicle is slated to fly from New Mexico spaceport loaded with high school, university and entrepreneurial payloads. Theinaugural rocket from New Mexico's Spaceport America crashed in the deserttoday after failing in its mission to reach sub-orbital space. TheUP Aerospace rocket took off at 2:14 p.m. and was due back about 13 minuteslater at White Sands Missile Range but it instead plummeted back to Earthprematurely. Itwas not immediately clear where the rocket landed or what condition it was in,Associated Press reports. 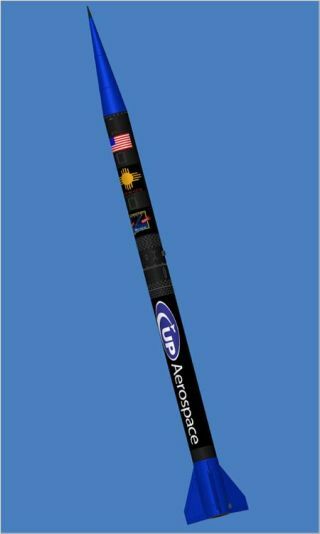 TheSpaceLoft XL is a 20-foot (6 meters) tall, single-stage solid-fuel rocket. Atliftoff, the rocket quickly was supposed to accelerate to five times the speedof sound--nearly 3,400 miles per hour. Therocket and its payload was scheduled to fly to the international definition ofspace, 62 miles (100 kilometers) in just a minute and a half, and to achieve aneven higher flight apogee shortly thereafter. Therocket's short flight was tracked by radars at the White Sands Missile Range, located just to the east of Spaceport America. The New Mexico spaceport site is approximately 70 square kilometers of open,generally level range land north of Las Cruces and east of Truth orConsequences. This location was favored for its low population density,uncongested airspace and high elevation. New Mexico'sSpaceport America will cost a total of approximately $225 million to fullyconstruct. Billed as the world's first "purpose-built" commercial spaceport forpersonal spaceflight, the state officials have attracted several space firms toNew Mexico, including Virgin Galactic, Starchaser, UP Aerospace, Rocket RacingLeague, and the annual X-Prize Cup. Accordingto Jerry Larson, the President of UP Aerospace, Inc., the rocket motor for SpaceLoftXL was eyed for streamlined production. The group focused on ways todramatically reduce rocket motor development and productions costs. Toachieve that goal, UP Aerospace partnered with Canadian-based CesaroniTechnology Inc. (CTI), located just outside of Toronto. CTIhas years of experience producing small, low-cost, high-performance rocketmotors, but also shared with UP Aerospace an entrepreneurial philosophy that isconducive to support a new era of space commercialization, Larson told SPACE.com. Forexample, the initial motor design for SpaceLoft XL began almost exactly a yearago. The Preliminary Design Review was completed in September 2005. TheCritical Design Review for the motor was completed in late November 2005. "Fromsystem-level requirements to a complete motor design took just three months,"Larson added. A number of static tests of the rocket motor were conducted atCTI, with overall performance of the motor exceeding all requirements andexpectations, he noted before today's launch. "Manyaspects of our motor are proprietary. However, what we can say is that themotor incorporates a carbon-fiber-composite case with a case-bonded compositepropellant grain," Larson said. Anew all-electronic ignition system device (ISD) for the suborbital rocket wasused, developed by ATK at its Tactical Systems division in Rocket Center, West Virginia. A final test of the rocket's ignition system, using ATK's ISD, was conductedat Spaceport America on September 7, Larson said, paving the way for today's inauguralspace launch from the site. Theloss of UP Aerospace's first rocket marks the second failed private launchdebut this year. The privately-developed Falcon 1 rocket, built by El Segundo,California-based Space Exploration Technologies (SpaceX), failed just after a March 24 liftoff. Afuel leak prompted by a broken nut was citedas that booster's failure.